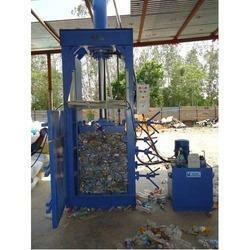 We are Dealing in Hydraulic Pet Bottle Baling Press. Applicable in industries including cotton, yarn, fabric, iron scrap, paper, leather and rubber industries, offered baling press is designed our skilled professionals using quality approved components by and advanced technology in compliance with industry standards. 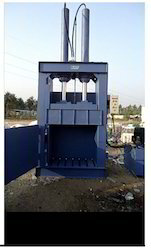 The offered baling press can be availed in various sizes and designs as per the application requirements of our clients. Being a reputed organization in the industry, we are offering Automatic Hydraulic Pet Bottle Baling Press that finds its applications in places where large lifting is needed. This bale press is developed using the excellent quality basic components, thoroughly checked on well-defined parameters of quality by our quality controllers. 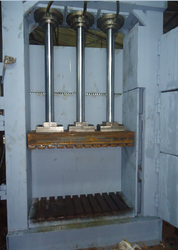 Being a reputed organization in the industry, we are offering Triple Action Hydraulic Press that finds its applications in places where large lifting is needed. This bale press is developed using the excellent quality basic components, thoroughly checked on well-defined parameters of quality by our quality controllers. Looking for Hydraulic PET Bottle Baling Press ?